A colorful Print-and-Play puzzle for your kids. Photoshoproadmap, always good for unique tutorials with lots of detail, has released yet another great tutorial called “Create a colorful Print-and-Play puzzle for your kids with Photoshop”. The 5 page tutorial explains how to create glossy looking shapes and text, how to add proper shadows, how to build the puzzle board and its pieces and how to add some finishing touches. 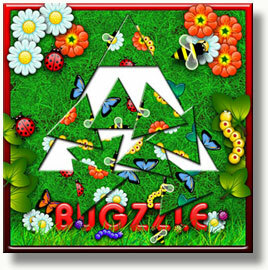 You can even download two complete puzzles at the end of the tutorial and make your kids happy in no time! 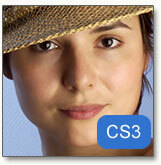 Lunacore has released a detailed review of the Total Training’ Photoshop CS2 video course. - How to make a James Bond style screen effect using the Fibers, Cutout and Twirl filters. - Put a showroom finish on a car with Shadow/Highlight adjustments and Levels. - Create an Andy Warhol style effect with a psychedelic animation effect. 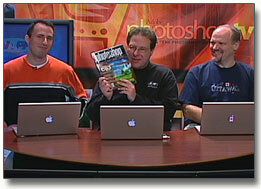 Scott Kelby has the breaking news on Adobe’s announcement of Photoshop CS3 and CS3 Extended. The new Adobe Photoshop CS3 will be available in two different versions: Adobe Photoshop CS2 and Adobe Photoshop CS2 Extended. Adobe Photoshop CS3 Extended allows you to render and incorporate 3D images into your 2D designs, edit motion graphics on video or probe your images with measurement, analysis, and visualization tools. More about this on the Adobe web site. In Vanishing Point, a tool available since Photoshop CS2, you can save the current grid to your document window by holding down the Alt key (Option key on the Mac) when you click OK to close the Vansihing Point window. The grid will then be saved to your current layer (recommended is to save it to an empty layer). You can then change its color, warp it or apply any other kind of effect. The resulting grid is not ani-aliased, so the lines don’t look smooth. You can avoid this by creating the image in a large document (several thousands of pixels wide/high) and then resize the image to the format you’re working with. The grid can also be useful for perspective drawing in Photoshop by transforming it using Edit/Transform/Distort. - The best new features of Adobe Photoshop Lightroom: Target Adjustment Tool, Keyword Stamper, Virtual Copies and Tone Curve. 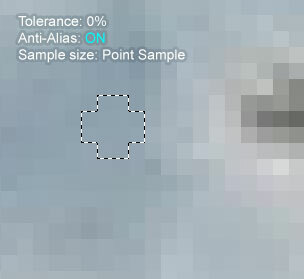 - How to use the Hue and Saturation in Adjustment Layers. 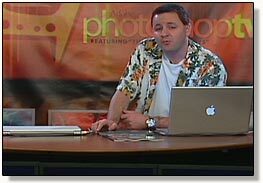 - Get a ton of Photoshop news and tips from Trevor Morris’s site. - Enjoy the art of typography at Type For You. Enter to win an Alaskan cruise from the good people at Cruising Through Life and join our own Dave Cross, Moose Peterson and Vincent Versace for 7 days of amazing nature photography, Photoshop instruction and the best time you’ll ever have learning. How you can win a full year of Layers magazine. If you’re one of those people who love to study Photoshop by watching video tutorials, then it might be a good idea to visit PixelPerfect by Bert Monroy. In episode 10-12 Bert also explains behind the scene certain aspect of his huge Photoshop work called Damen, a 15,000 layer Photoshop design. On the Lunacore Forum I’ve posted an example of using Photoshop CS3′ Smart Filters to make a non-destructive skin correction, based on Lunacore’s original Smooth Skin tutorial. You are currently browsing the archives for the Photoshop category. Lunacore Photoshop Blog is powered by WordPress 1.5.1.3 and delivered to you in 0.058 seconds using 11 queries.